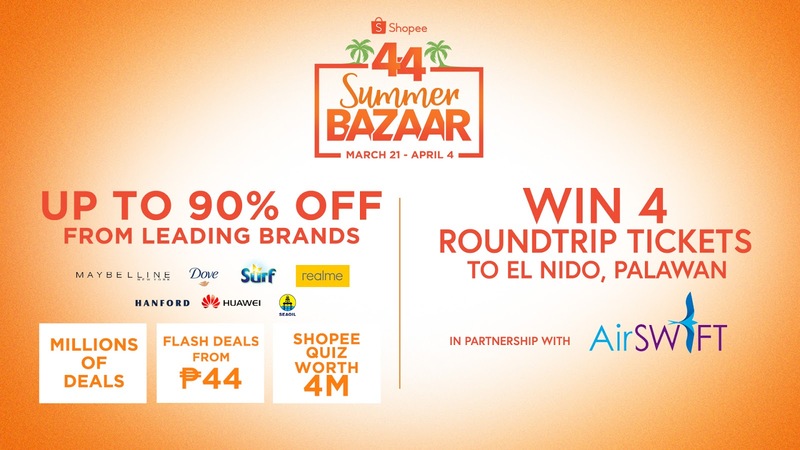 MANILA, MAR 28, 2019 - Shopee, the leading e-commerce platform in Southeast Asia and Taiwan, gears up for the peak of the biggest online summer sale, the Shopee 4.4 Summer Bazaar, on April 4. On the day, users can save big with up to 90% off leading brands and partners, including Maybelline, Dove, Surf, Realme, Huawei, Pedigree, Hanford, and Seaoil. 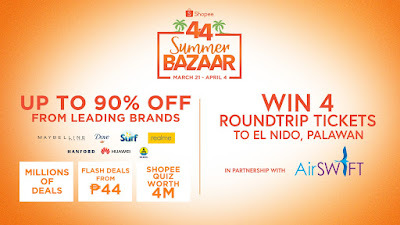 Exciting prizes await users including a sponsored trip to El Nido for four from AirSWIFT. In addition, from April 3 to 5, users can look forward to the P&G x Shopee Super Brand Day, offering up to 30% off leading P&G hair care brands including Pantene, Head & Shoulders, and Rejoice.